Do you have a wide varietyof different metals at your home that you would like to get rid of? If so, you should considercalling us, South Bend junk removal, as we will remove it from you at a price rate that simply can not be beaten by other recycling companies in our local area. We provide metal recycling services for both household and commercialbusiness within South Bend, Indiana. We will safely and cost-effectivelyremove any scrap metal that you no longer want at your home or place of business. Our company is very eco-friendly and we strive to recycle as much as the scrap metal that we remove as we feel as though it should be turned into otheritems rather than taking up space at your home or our offices. 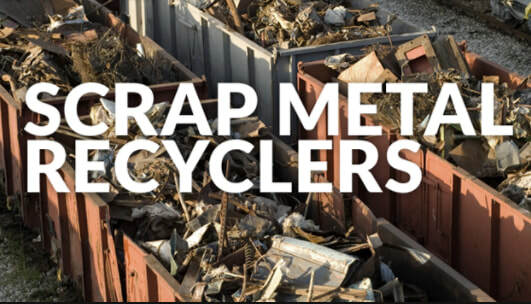 Our scrap metal recycling services are available for any metal that you could possibly have on hand. The most popular metals that we recycle are copper, Iron, steel, aluminum, and brass. These are our most common metals recycled due to how commonly they are used and the fact that they can be found almost anywhere in clients homes and business offices. We also accept metal beams, pipes, and other construction materials made out of metal that would not be easy for customers to easily access and recycle by themselves. We will also take any plumbing related metal such as fixtures and any other home-related pieces of metals. It is safe to say that we will recycle almost any metal that you have access to. We will pick up your metal that you wish to recycle at any time during our business hours. It is important to note that you should call and schedule an appointment to have your items removed as it will make the whole process much easier than if you had not. The appointment will let our workers have plenty of time to get to your home rather than rushing and having to squeeze you into an already full schedule on a day that you did not call in advance. We make the appointmentmaking the process super easy as all you will have to do is give us a call and let us know what services that you would like. Our workers have been trained in the most responsible ways in which they should removal metal from customers homes. This will result in your metal being removed in the safest manner possible rather than it being thrown around in unsafe conditions. Chances are that you have not been trained in how to accurately remove the metal and as a result put yourself and others at risk for injury when attempting to remove large pieces of metal. You could also damage your vehicle when trying to transport the metal as it can easily move around and cause intensive damage to your vehicle that can be very pricey to fix. As you can see it would be a very good decision to use or service rather than attempting to do this by yourself.